One of the problems many devout Christians have with Socialism/Communism, even if that Socialism/Communism is not of a secularized and atheistic sort, is that it may if implemented encourage a false Pelagian and overly optimistic outlook in people. Efforts to create a ''Heaven on Earth'' generally fail because of our propensity towards egoism, towards sin. But if we truly love one another and bear each other's burdens, as Christians should we not try also to build better lives for each other and ourselves? More just and more befitting our needs as human beings? Maybe there will never be complete full Communism without God's intervention. Human depravity is such that this is very probable, and I do believe that there is a certain level of compatibilist determinism in play here. But i'm talking about what good people should do, organized and actively in control of a society. Perhaps the end state of all Statism is Communism (that is, Socialism, the full communal ownership by the laboring classes of the means of production in a society) as my good friend @Victoribus Spolia believes, although he does not see that as a good thing. While on the other hand, Capitalism and Anarchism are trending in my mind together, another direction for a society to take but in my view towards Barbarism. I see ''Religion'', Capitalism and Anarchism coming together into a future nexus. I see Orthodox Christianity, Socialism, and the State doing the same. One side is temporally speaking political Barbarism, rule by private and personal ''rights'' by virtue of birth or wealth, private ownership or religious Dictat. The other side is political Civilization/Republicanism/Socialism, the rule of law and public trust, the rule of common good with duties and responsibilities to one another. A Society fully spiritually informed by genuine Orthodox Christianity. Economic Self Interest and Exploitation against a Society that fully invests in the Laboring and Producing classes receiving their due. I see the world of the next 100 or more years, during what the writer James Kunstler calls the ''Long Emergency'' (another issue of concern), dividing up into these two general camps. What is the eschatological dimension of the Bolshevik Revolution? If one had asked Leon Bloy, one might perhaps been horrified of his answer, as much as he hated with a supernatural hatred the Bourgeoisie. In this their age, after the Great Patriotic War, even greatness in Evil has been exiled from history. And now not even that is left, for the most part. annatar1914 wrote: What is the eschatological dimension of the Bolshevik Revolution? If one had asked Leon Bloy, one might perhaps been horrified of his answer, as much as he hated with a supernatural hatred the Bourgeoisie. 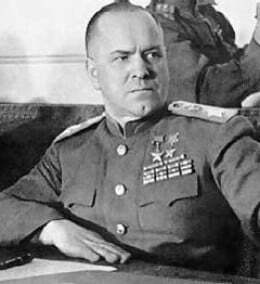 In this their age, after the Great Patriotic War, even greatness in Evil has been exiled from history. Well, I'm a few days shy of completing my break from PoFo posting, which I did not completely do in any case, lol. But it's alright, i'm willing to re-enter the fray. The situation as it stands for me, upon reflection, calls for a more precise public definition of ''Freedom'' to be laid out to fill in the observable gaps in my political philosophy. Such a society composed of the beings which we certainly are, must have at it's basis restraints for the common good of all, to force us to live together in peace, otherwise we would exterminate each other in our greed and selfishness in short order (which is really what we are doing for the most part worldwide right now). And so at this stage of human civilization and moving forwards from the present organization of productive forces, the best system for progress and civilization is in my opinion, Socialism/Communism. Not the godless evolutionary optimism of the Marxist-Leninist, oh no, but equally deterministic in my own way, it is realism about human nature drawn from Scripture and the Fathers of the Orthodox Christian Faith (particularly in the West before the Schism of 1054 AD), from which I set my foundation. Is this universally applicable? I believe that far from being paradoxical nonsense it has the virtue of being the form of society best suited for a man's peaceful existence and the best suited for his eternal salvation, if carried out in Christian love. Not Reaction, not Revolution. So, in light of what i've said earlier in this thread and in more recent threads with @Victoribus Spolia , how do I (if there is indeed an internal logical structure to my thought) reconcile the fact that the Wisdom literature of Scripture clearly is embedded within a culture that held ''private property'' and the ''free market'' to be regarded as a matter of course, with the clear notions regarding the same in the New Testament being evil and implying that it is to change? The answer lies with the State in it's pre-modern Christian form, under the Roman Imperium, of the Dominate, the Second Empire, and the Third Rome and other iterations of Romanity (which I denote ''civilization'' in the political sense; outside is ''Barbarism'' and Barbarians...) The only person who truly has complete private domain is the Tsar, the Caesar, the Basileous. The Land is his to do with as he pleases, to distribute as he wishes in whatever form he finds necessary for the good of his legal Household, which are everyone on his Domain. While Communalism is necessary in Christianity for the full and complete exercise of the Kingdom of Heaven, no force can be initiated with free persons, it is entirely voluntary... There is a stewardship that always devolves into an intermediate ownership of the means of production in the Roman Imperium as elsewhere, with the Rich, the ''Boyars'' and ''Aristocrats'' or ''Optimates'' of whatever name or title and other such having de Facto ownership with or without the presence of a Tsar or Caesar. This state of affairs has been permitted, it is a concession and like any concession it can be revoked by the one with the requisite authority. Thus, legally in the Roman Imperium, with a Christian Tsar, only one man in what is his private domain and no other, can be considered as fully legally ''free'', the Tsar himself. Is it therefore absolutely necessary (if under the legal rule of the Roman Imperium) that all lands of the Domain be administered as no longer possessing any intermediate private ownership? As Caesar and Caesars and Tsars in general came into Power in the Roman Imperium and ''Res Publica'' as the leadership and tribune of the People (the ''Populares'') and anointed by God to be shepherds of the flock, it is in their present absence that the People must eventually revoke the conditional concession of ownership of those who place themselves over them, and safeguard their well-being and common good with a Caesar, a Tsar, the perpetual Dictatorship of one man, for even in the term ''Dictatorship of the Proletariat'', ''Dictatorship'' implies one man, and this is true as sovereignty is always One. Note for @PoliticalInterest @Victoribus Spolia @Potemkin if they wish to respond. All of this is by way of now saying that the God-Anointed Sovereign has in his domain, the complete allodial property right to see to the good of his Household and all those servants and family that inhabit and make use of his land as well. That isn't ''Socialism'' so much in my conception anymore, but Servitude with relative scales of freedom and responsibility. I've read my George Fitzhugh and more besides, I know of what I speak. People need to be taken care of, but they have responsibilities, duties, and should return to the Land, return to the Earth. To return to a traditional, and patriarchal concept of earthly order, Orthodox Autocracy in the common understanding in Holy Russia prior to say, 1653 A.D., 7161 A.M. One man's Anarcho-Capitalist Dominion writ large into a Monarchy, rule over a whole Land. Call it a betrayal, whatever. Call it regressive and reactionary ''neo-feudal'' Barbarism and a turning away from defending a civilization I so long labored to help defend and restore, I don't care. This Western Civilization, what Oswald Spengler would have called ''Faustian'' very aptly, is evil and leading to the destruction of the human race. Not only is it right and just and in keeping with human nature as an organic development, to return to a ruder yet freer and more virile and meaningful Culture, it's coming back, to a greater or lesser degree around the world in this Age we're settling into now. ''Barbarism'' is going to save Mankind through the Age that we're heading into. That' s the end of this thread. ''Leaven in the Dough'', that's what the ''Kingdom of Heaven'' is supposed to be like unto. We can tolerate some things in this world out of the hardness of people's hearts, but some things, must they truly be tolerated, actual evils? Willing to burn down the whole thing if it can't be saved or save itself... Not the proper attitude. Alexander Blok was right. I'll join the campfire of the Scythians, and sing the songs they play along to upon a barbarian lyre. And I will reveal to any who might ask this political question; ''who are the truly Anti-Statist ideologues in the world?" And I will say; the true Communists. More to come on that question. I also want to point out that Fascism is very real, although people have abused the term so much it's losing it's meaning and usefulness almost. But the Marxist Leninist definition, specifically the Stalinist one (after all they did the bulk of the fighting against the Fascists) is the correct one. It's the final phase of Capitalism in it's Imperialist form, loosened of all restraints towards protecting itself because of the sensed emergency of it's collapse. Silly persons believe that we're experiencing it now, no, but we will. And not quite like before, either. This is important for me to say. Only a superior socio-economic system could have endured the blows of the Fascists upon the world in the first half of the 20th century. And that wasn't the ''representative democracies'' of the West. It too was fatally flawed, but not in the particular means it had to beat the Nazi scum. So there must have been something right, to have endured. Which lasted from 1929 to about 1940. What happened to ''fix'' the problem? War and Finance Capital. Laissez-Faire or Classical Capitalism ceased to exist, is dead, cannot be brought back without ever-worsening cyclic conditions of boom and bust returning and then possibly finishing everything. But Finance Capital has run out of tricks, fiat money injected into the economy isn't having the effects that it used to, say in 2008. Capitalism had just basically run through the monetized loot of the former Soviet Bloc by then, and the scheme of the Housing market was closing everything down... What could be done? The fiat money fix, to mask the collapse of the real world economy and buy time until war could be made to clear the books and restore real fortunes for those outside Finance Capital, the fortunes of the regular Capitalist, the Petit-Bourgeoisie. War and Fascism was their answer. War and Fascism was decided on, just as it was in the 1930's. This next phase will be marked by signs; tariffs and economic autarky, trade wars and new economic and political alliances. Nationalism and Populism. Wars for resources and wars for outright conquest.